Subrosa DTT frames are selling out quick! 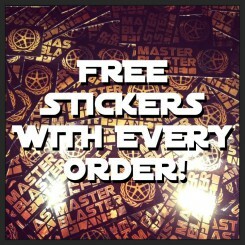 Only a couple left in stock! 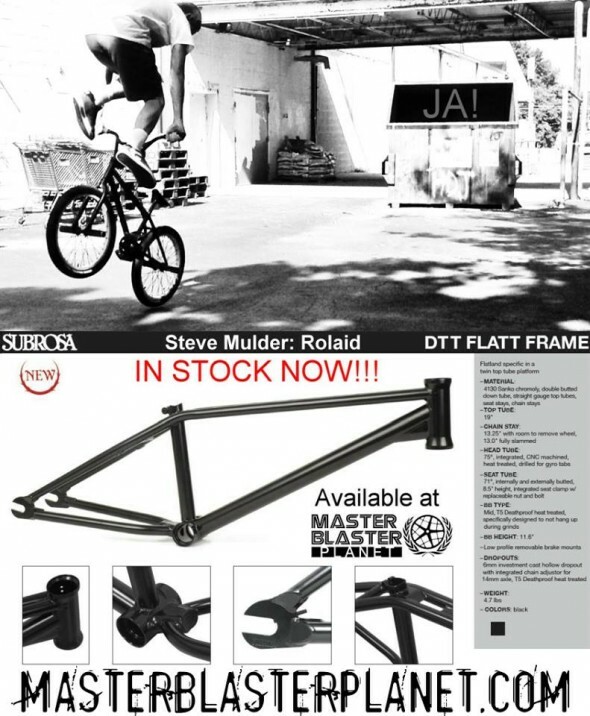 Subrosa “DTT Flatt” Flatland BMX frame – 19″tt length (CLICK HERE). FREE USPS priority mail shipping with signature delivery confirmation included (US only). This DTT frame is specifically designed for flatland riding. Color: matte black. 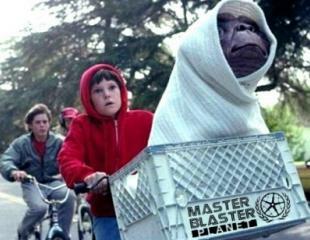 Made from 4130 Sanko chromoly. Features include a heat-treated CNC machined integrated headtube drilled for gyro tabs, twin top tube design and downtube gusset raised for added foot clearance during front wheel tricks. 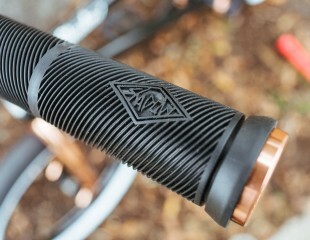 Double butted down tube, straight gauge top tubes, seat stays, and chain stays. Integrated seat clamp with removeable nut/bolt, heat treated Mid bb shell. Removable U brake mounts. 6mm thick hollow heat treated 14mm dropouts with integrated chain tensioners. Weight: 4 lbs 7 oz. 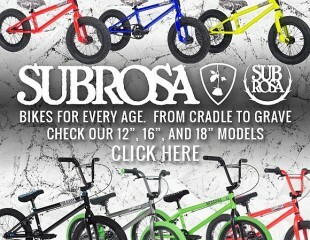 Click HERE to see all Subrosa DTT frames in stock including the FLATT and STREETT versions! 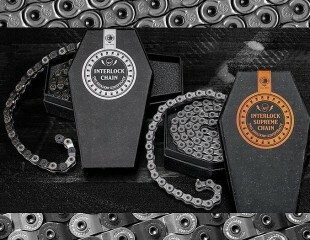 « Shadow Conspiracy Multi Tools are made to keep you rolling during your session!